The ES 400VA Back-UPS offers best value for money for protecting your computer systems and 3D printers. After long hours of manufacturing it can be painful if your 3D printer stops manufacturing and your progress is lost. Don’t worry about power outages anymore. Moreover, this UPS supports battery backup power which enables you to deal with short and medium term power outages. 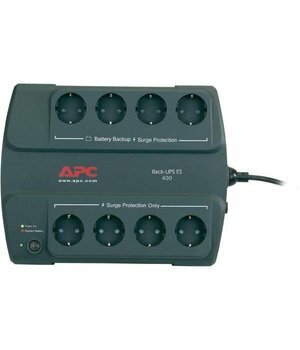 It also protects your equipment from surges and voltage peaks that travel along your telephone and utility lines. Its innovative and award-winning software automatically shuts down your computer system in the event of a continued power failure. Even for your 3D printers you have enough time to react to the power failure. 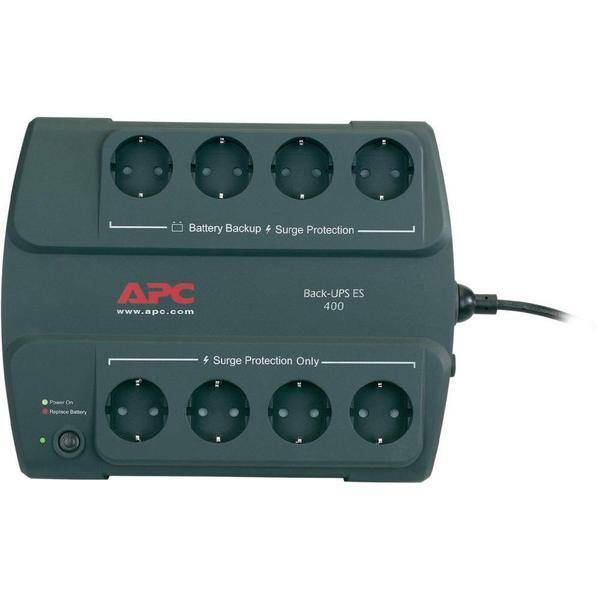 Additional Information Additional features like audible alarms, an LED status indicator, user replaceable battery, push-button circuit breakers and transformer-block spaced outlets make the Back-UPS ES 400VA the perfect unit to protect your productivity from the constant threat of power outages and lost data. The APC Back-UPS ES 400VA is a good device to bridge power outages for your 3D printer.